As always the weekend training ride was planned with military precision. Cricky and Ben to leave Denchworth at 7.05am, which would have happened if Ben’s alarm went off in time 🙂 7.10am meet Nobby en route, 7.15am meet Allen in Grove and then on to meet Macca at 7.28am in Wantage. Clockwork! 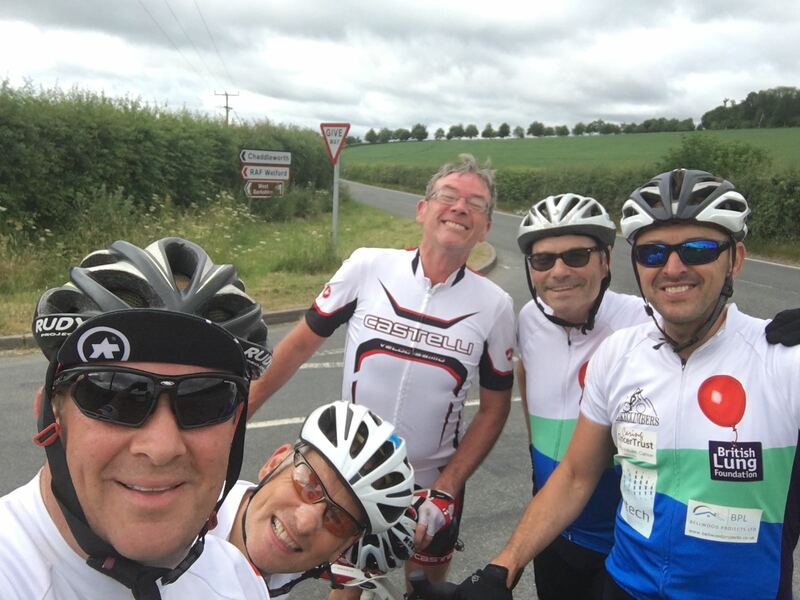 The plan today was for Allen, Cricky and Macca to do a challenging 70+ miler, with Nobby and Ben diving off part way through to complete a 45 mile ride. It seems the climb up Manor Hill is becoming a regular weekly thing, the past month it’s been ever present. The difference between this week and last week was that Ben was sober, which was a bonus as his training continues to shows massive improvements and he’s looking very strong. Nobby and Cricky hit the summit first, followed by Allen, Macca then Ben. It was then over the top and down to Great Shefford and up the hill towards the M4, turning left just beforehand to Wickham. The 5 man peloton sped on at a super good pace and in no time at all arrived in Newbury. Allen, Cricky and Macca continued on towards Thatcham and the Chiltern Hills beyond. This is a gorgeous route once out past Thatcham and the climb to Upper Bucklebury. Taking in Bradfield and it’s College and through lovely country lanes en route to Pangbourne. The ride then headed towards the infamous Whitchurch Hill, after a quick photo over the Thames, the 3 Peaky Climbers shot up the hill with no issues at all. The undulating countryside was stunning, the only blight was Macca suffering a puncture but as always Allen was on hand with his speedy pit stop skills. 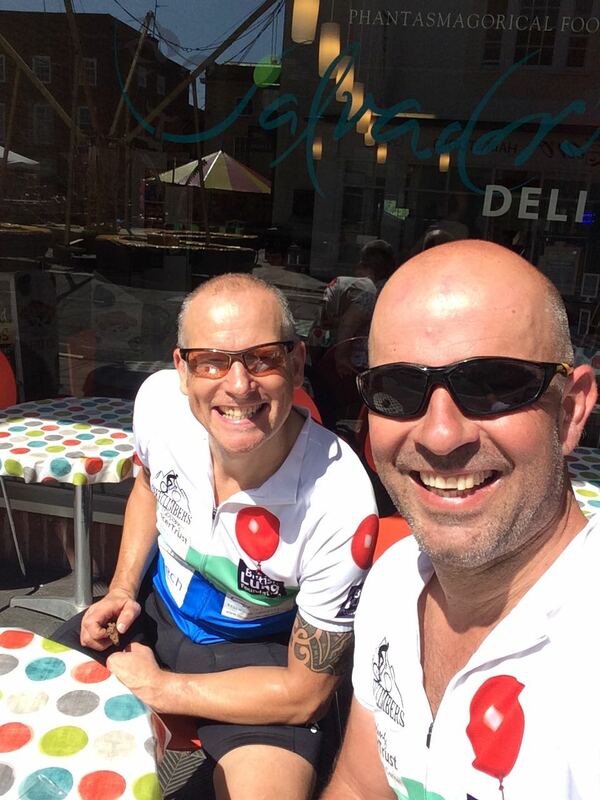 The boys pushed on and really picked up the speed as they headed to Wallingford at which point a well deserved coffee stop was taken…beans on toast with cheese if you were Cricky. It seemed that at no time at all the 3 amigos arrived in Didcot, taking a slight detour to add some miles to the route it was now via Appleford and Drayton Village to then head for home. The days major incident then occurred when Cricky, clearly cycling with his broom in hand, decided to look and see if a builder making a brick wall was in fact his mate, only for Cricky to turn around a 3rd time to then come a cropper and eat dust as both he and his beloved bike ended up taking a tumble. No damage done, except to Cricky’s pride and a snapped broom, it was in to Steventon then on to Hanney and finally out and in to Denchworth. With Cricky dropping off home first then Allen at Grove, Macca finished his ride for the day in Wantage. All 3 Peaky Climbers rode well and the figures showed 70 miles were achieved in 4 hours, which was a great effort.